700mw Zungeru hydro power plant is 45 percent complete – FG – Royal Times of Nigeria. The 700MW project, which is located in Zungeru, Niger state, is expected to be completed at the end of 2019, Leadership reports. 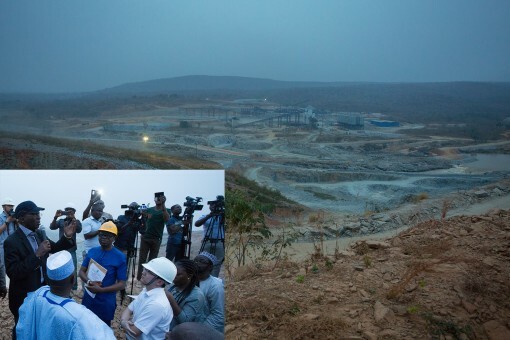 Speaking to journalists during a site visit to the project, deputy director, energy resources, ministry of power, works and housing, Engineer Olatubosun Owoeye, said six turbines would be installed. Owoeye stated that when the project is completed, it would not only increase power generation but equally improve the economic activities of host communities. According to him, agricultural activities of the region would be enhanced as the dam would provide irrigation for all year farming. The Zungeru Hydro Power Plant is a joint project of the federal government and the Chinese government at a financial contribution ratio of 25/75 per cent respectively. The project’s local content representative, Mustapha Yerima, said that the relationship with the community has improved as 36 settlements had been planned for the inhabitants of the affected community. He stated that the settlements would have schools, healthcare centers, markets, and water facility. Meanwhile, Nigeria restarted construction works at the Zungeru power plant in Niger state, that was first conceived in 1982, but was abandoned due to lack of funds and dispute among the parties involved. Babatunde Fashola, the minister of power, works and housing, announced the resumption, while delivering a speech titled “Nigeria’s Electricity Challenge: A roadmap for change” at a lecture in Lagos on Thursday, May 6, 2016. Fashola stated that the dispute was eventually resolved, adding that the parties were out of court and more than 800 workers were back on site. He said that the plant was expected to bring additional 700MW electricity to Nigeria’s current 4600MW.